Several years ago, I put a new bathroom in our new home. When it came time for the shower, I described to the salesman the type of showerhead I was looking for. “It’s called a sunflower,” he said and off we went to the display. To this geriatric care manager, the notion of a sunflower showerhead, AKA a rainfall showerhead, suggests something very soothing. But enough about what I imagine. From a practical point of view, a shower for a person with Alzheimer’s Disease can sometimes take on an entirely different aura. Why can bathing be such a challenging task? For some, it is the loss of independence. A caregiver or a family member is now either in the bathroom or outside the door. Privacy is trumped in the name of safety. Especially challenging when the aide is female and her client a male. Also, the person with dementia may not recognize that something is wrong, and becomes agitated, even belligerent. Why are all these people telling me what to do? The senses may also contribute to this encounter. 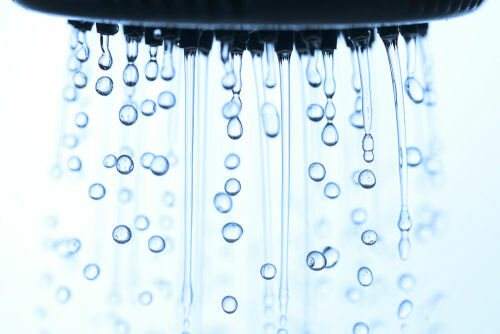 The water streaming out of the showerhead or the spigot, can be frightening to the person with dementia. Even the sound of the water can be unsettling. Stepping into a bathtub may bring a fear of falling. Choose the right time of day. If the person is experiencing sun downing, mornings may be the preferable time. Use a strength based approach. Have the person help in the bathing process as much as possible. If a person is resistant to a bath, try bringing in some favorite music or say something like: “a short bath and then a big scoop of strawberry ice-cream.” A reward system works well. Know thy self. If you have had a long day, put off the bath. If these strategies fail, try some non-rinse body soap and shampoo. The explanations for why a person resists bathing is as varied as the person. By exploring various techniques combined with the acceptance that what is not achievable today may be resolved tomorrow or the next day, brings a degree of calm to an otherwise unsettling illness.